A regional daily editor has warned readers not to help “guilty thugs escape the law” by posting prejudicial social media comments after a fatal attack on a teenager. Mike Sassi, who edits the Nottingham Post, has called on social media users to “think twice” before posting comments online after an investigation was launched into the death of 18-year-old Mariam Moustafa. 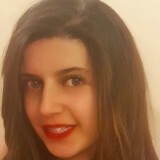 Ms Moustafa, pictured, was assaulted by a gang of girls outside a shopping centre in Nottingham last month, and died on Wednesday after being left in an induced coma. One person has been arrested and police have said that they are actively searching for others, but no-one has yet been charged over her death. In a comment piece, Mike wrote: “It almost defies belief that a defenceless young woman could be the target of such a brutal assault, in front of so many people, in the heart of our city centre. Nothing should be allowed to stand in the way of bringing Mariam’s attackers to justice. “The dozens of bystanders and bus passengers who witnessed this horrific crime must have the guts to come forward. They owe it to the young victim and her grieving family. “Keyboard commentators should also be careful not to help the guilty thugs escape the law, by making prejudicial comments online. “One person has been arrested and police have said that they are actively searching for others. No-one has yet been charged. But as The Post and all other reputable publishers are aware, legal proceedings are very much active – including on social media. “Most of the world now uses social media. But logging on to publishing platforms like Facebook and Twitter comes with responsibilities – most significant of which is the need for users to stay within the law. the problem is that attention seekers on social media are 100 per cent ignorant of both criminal and civil law, especially regarding contempt of court and defamation. They think they can say what they like without repercussions. They cannot. I hope the worthless thugs who caused the death of this poor girl are caught soon. Isn’t Mike’s well-meaning advice a little premature? Ill-judged words during a trial can have consequences but people running their mouth off during the investigation may be beneficial to police enquiries.